Spruce Street Right-Facing L-Sectional – SlipcoveredSpruce Street Right-Facing L-Sectional &ndash; Slipcovered, alt="Spruce Street Right-Facing L-Sectional &ndash; Slipcovered, "
This sectional is still as well-proportioned as the sofa that started the collection, but offers even more room for lounging and gathering. Sophisticated but never stuffy, we love Spruce Street's casual-chic appeal. Hand-applied nailheads outline the tailored frame. 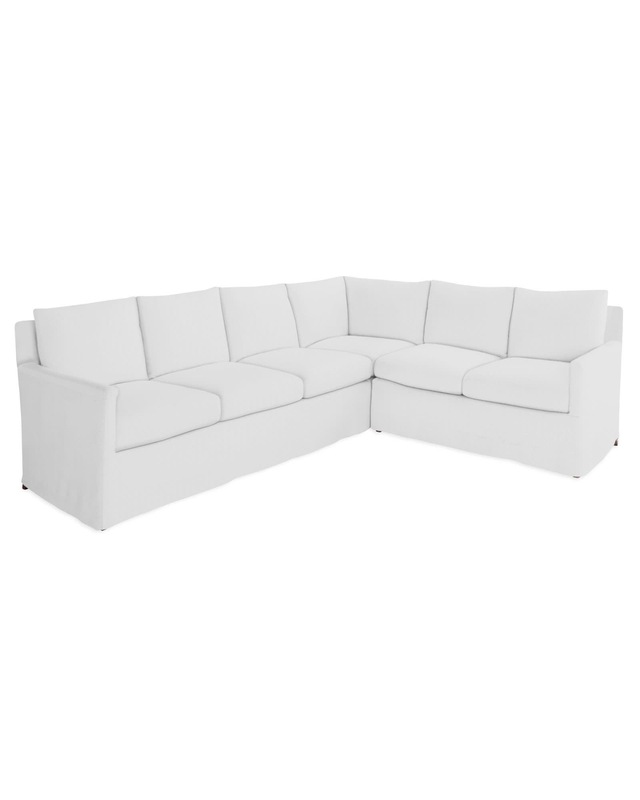 Consists of two pieces: one left-arm cornering sofa and one right-arm loveseat. 112"W x 87"D x 34"H overall.